Happy labs is an all-volunteer, nonprofit, private organization committed to providing rescuing, fostering and re-homing homeless retriever breeds. We specialize in Labrador Retrievers, but will take in other retriever breeds or mixed breed retrievers from time to time. We are dedicated to rescuing and rehabilitating retrievers that are unwanted, lost, or are in danger of being culled in shelters around Tokyo. We also help them to find new homes to spend the rest of their lives. It costs a lot just to cover medical bills or essential vaterinaly cost such as food, vaccination or neutering. But many a little makes a huge difference. Join us by making a donation and give them a hope. 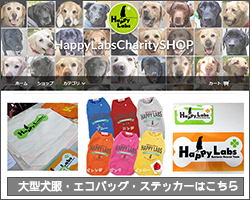 You can also donate to Happylabs online using Paypal. 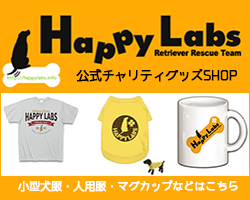 HappyLabsハッピーラブズ | レトリバーレスキューチーム・ハピラブ	. ALL Rights Reserved.